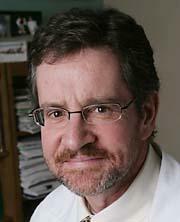 John (Riley) McCarten, MD, is an associate professor in the Department of Neurology at the University of Minnesota. McCarten is also the Medical Director of both the Fairview Memory Clinic and the Minneapolis VA Geriatric Research Education and Clinic Center, as well as the Associate Director of the University of Minnesota N. Bud Grossman Center for Memory Research and Care. He is primarily affiliated with the Minneapolis VA Medical Center and sees patients with various forms of dementia. However, McCarten’s research focus is on the early recognition, diagnosis and treatment of Alzheimer’s disease. Recently, McCarten was the site leader of a large VA trial that demonstrated the effectiveness of high dose vitamin E in Alzheimer’s disease. Read Dr. McCarten's full bio.